In the highly competitive world of craft gins, it’s no longer enough that a new boutique distillery can impress with increasingly baffling botanicals and the legacy of its name. Though, saying that, there’s a lot to be said for Berkeley Square gin on both those counts. Its botanicals – simply, lavender, sage, kaffir lime and basil – are infused through a bouquet garni during its distillation rather than introduced layer-on-layer in a traditional still. It’s designed to preserve the herbs’ essential oils giving a smoothness to the characteristic bitterness of a London dry. 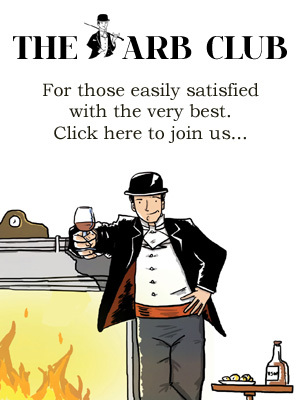 But botanicals and distillation aside, you’d be hard pressed to think that a gin called Berkeley Square were anything other than ultra-premium. And for that very reason, the new battleground of boutique gins – that of events and pop-ups – means that with its new residency at Morton’s it can leave most competition in its wake. There are few places you would want to go for a martini than a private members’ club in the heart of Mayfair. Throughout September, they’ve taken over the club’s ground floor with ‘Gintessential’ (see what they did there? ), transforming the space into a sleek botanical Mayfair haven, overlooking the square, oozing elegance and style as effortlessly as the cocktails they’re serving. Morton’s own mixologist, Constantino Armocida, has concocted a menu that adds an innovative spin on all the gin-based classics, from the martini to the negroni, and each named with a nod to its new neighbourhood. There’s The Nightingale, Benji the Bentley Boy, the Jeeves, and the dashing Le Mans Negroni – an inspired take given a twist with Aperol and Amaro Averna. Feeling rakish for a Friday, I couldn’t refuse the Harry Flashman, a pimped version of the martinez (itself a precursor to the martini), with the Berkeley gin given a complimentary spin with Punt e Mes vermouth, Maraschino and rhubarb bitters. Settling back in a taught black leather armchair, staring out across the square at the Bentley showroom across the way, thoughts turned to what colour I might elect for my new Continental GT. Perchance to dream, eh? As venues go for a post-office libation, for that pinnacle of elegance and sophistication, there are few alternatives to compete with a martini in Berkeley Square. One might even say that Gintessential is the…now, what’s the word…? It’ll come to me.